This site is dedicated to my garden railroad projects. 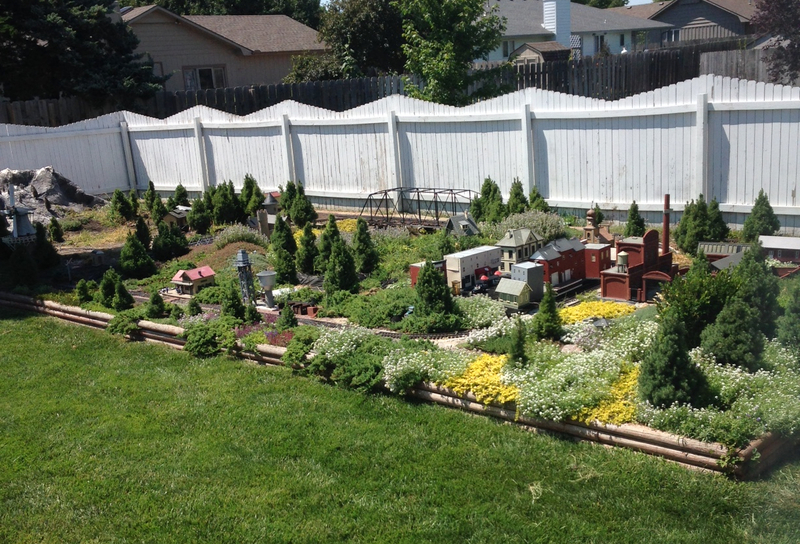 I call my layout Dan’s Backyard Branchline… it’s a 1:22.5 scale railroad in my back yard in McPherson, KS. The layout is intended to represent a slice of a fictional Germanic country (Ruritania from the Prisoner of Zenda) in the 1920s and 1930s. There’s a castle (though not in the lake like Zenda Castle) a small town (Strelsau) a motorcycle factory (apparently Rudolph is trying to keep Ruritania up with the times) and other rustic European scenery. I hope you’ll enjoy the photos and videos posted here.